RCB Awards has a brick-and-mortar storefront located at 80th and Capital in Milwaukee, WI. Our friendly staff is here Monday - Friday, 9am - 5pm. Take a look around to get a feel for our quality offerings. Have questions? Give us a call at 800-929-9110. All engraving & etching done in house! We can make your creative vision a reality. 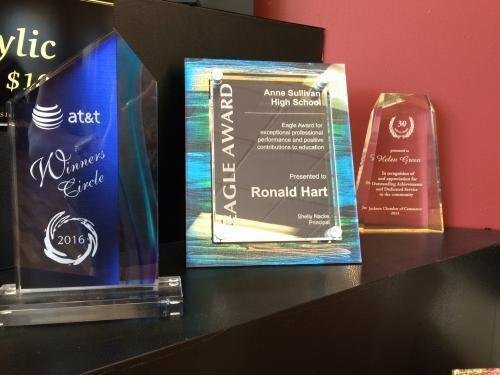 Our acrylic awards are custom engraved to your specifications. 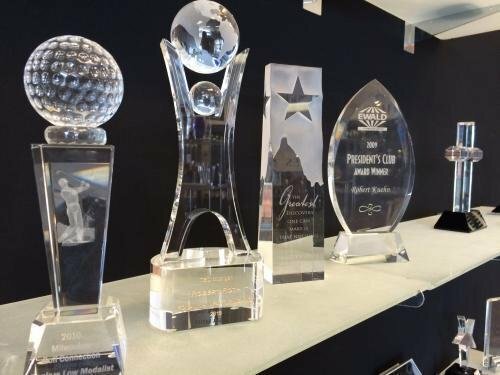 Our in-house engraving team takes pride in producing high-quality laser engraved acrylic awards that you will be proud to give. Laser engraving is a highly detailed process and is great for logos, graphics, signatures, and of course, your personal message. Our crystal awards are different than what you will find at most award shops. Why? Because we don't laser engrave our crystal, we go the extra mile and sand etch it. It takes more time but the results are worth it. 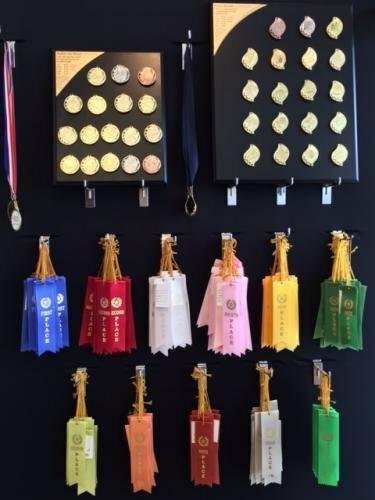 Medals and ribbons are an economical way to reward and commemorate achievement. Our selection of medals feature contemporary designs and are ready to be laser engraved with your custom text. Our Grab & Go Trophies are prebuilt and ready to go! 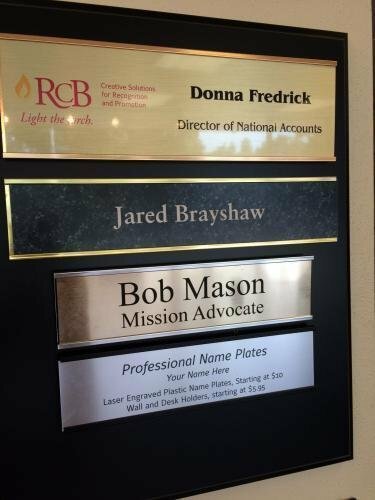 Choose from our generic name plates, or for $15, order a custom name plate that we will produce in about 15 minutes. We also feature a full selection of trophy styles that we make to order. Regular orders are produced in 5 business days. Rush service is available for an addional charge. 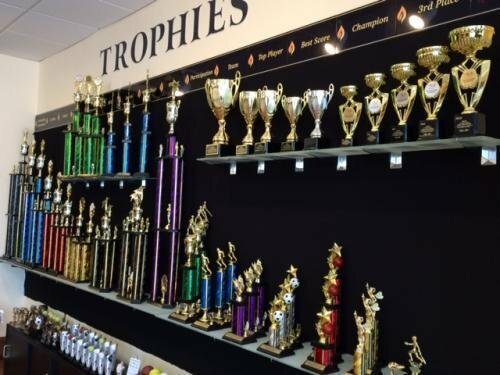 Customize large or small trophies for your Car Show, Bike Club, Pinewood Derby, Basketball Tournament, Soccer Tournament, Karate Tournament, Wrestling Tournament, and so much more!